There are a lot of crazy things going on this week. Forget all the hype and insanity that has taken center stage around the Cascadia Open Cup match-up. After losing to the Cosmos in the USOC this week, NYCFC continues to look bad and perform terrible. Philadelphia somehow staved off a very tenacious Rochester Raging Rhinos club that had upset written all over it. Charlotte Independence found a way to be the first USL Pro team to knock off a MLS club in the tournament and lastly Orlando beat former USL foe Charleston that went to penalty kicks (Danny Mwanga!). So we all had a heck of a soccer week. Sepp Blatter got re-elected. Then, very logically, Blatter stepped down from his position. Now that I've met my SEO word quota, let's talk about something that hasn't been beaten into the ground. This is usually where we talk about the state of the union with MLS and what's general going on around the league. What I want to do is turn back a week before Chris Wondolowski scores his 100th goal and talk about him. If you haven't yet, check out the top 50 MLS player rankings that we released last week. The initial conversation that took place when we entered the planning stages for this project had us talking about a top-100. Looking back, that maybe would have lead to a lot less scrutiny. What's the saying: "aim small, miss small?" Had we posted a top-20 more comments and frustration would be directed to those that were included than those left out. I think 50 has been a good mark and I think that's what we're going to stay with. One the biggest things that has been hardest to discern in this endeavor is what type of value one position has in relation to others. I think we can all agree that attackers have most of our attention, the problem that most of us have is determining at what point does the value of an attack diminish that a defender or goalkeeper becomes just as valuable? Obviously that answer isn't necessarily spelled out in this project but it's something that each of us that had to consider with our vote. Beyond the existential questions that come with this sort of thing there are some interesting correlations and general observances that come too. Let's talk about some of these things. While we talked about strikers being highly valued (six of 14 finished in the top-10) there were more midfielders included in total. However, you have to consider there are twice as many midfielders on the pitch taking up minutes. Looking on the defensive side you have Omar Gonzalez finishing 15th as the top defender in the pool and Bill Hamid finished with top honors at 16th overall for keepers. However, an interesting note is that Chris Tierney made the list (barely) while ranking fourth overall in expected assists while teammate Kelyn Rowe who is having a big season thus far and siting 20th overall in xG+xA. The biggest take away from this is that no longer can MLS teams have a player or the top 2-3 players and dominate. DC United, while agonizingly frustrating to understand,* exist as a cohesive and effective compilation of talent. Sporting has five players voted in the top-50 and yet sit mid table. In other words, having the best players doesn't translate to having the best team. Teams need depth and more specifically quality depth. The chart above is another example of why managing your budget and not just counting on landing quality designated players is so very important. * Check back here tomorrow for more on how DC United consistently "beat" the model. Tonight our soccer weekend is treated to a special showcasing of New York City and Chicago Fire with two great American midfielders battling head-to-head. Yep, you guessed it; Dax McCarty v. Ned Grabavoy. Still a better and more pay-per-view worthy showcase than Mayweather vs Pacquiao. Still I will guess there will be at least two shoving altercations between the two in the match and that'll be something special. Chicago went from being a team that you didn't know if they would win any games two months ago to questioning your sanity with if they could be contending for a playoff spot. I've said it once before and I'll say it again in a more cunning way; the Chicago Fire will go as far as their bleeding gunshot victim defense will allow them to go. It's not that they're bad so much as it's just that they're not good. They don't have one person on the defense that can stand up in the last few moments of a match and be the the difference maker. The whole time the Fire are leading you're not wondering if they can keep the lead but if they can score again to win the game... despite already leading. It's exciting and awful all at the same time, kind of like eating one of those 2,500 calorie burgers that you know are going to blow up your heart or clog your arteries. At least you'll enjoy the moments leading right before death. New York City is kind of like that, only much worse. Much, much, worse. How much worse? 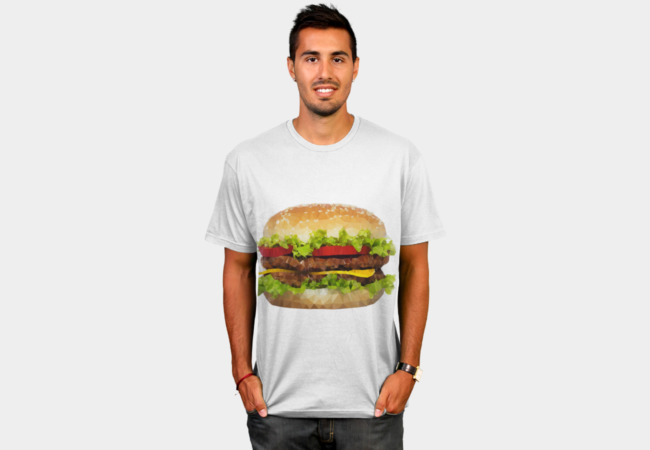 They're a 2,500 calorie burger you're trying to eat in under five minute for a t-shirt" worse. A LOUSY T-SHIRT! Adam Richtman nearly died and we're still doing this. WAKE UP, SHEEPLE. I suppose you could be a nihilist and point to the fact that NYC keeps possession of the ball. Heck, they rank second for possession. But as you might have figured out possession means squat. Oh, don't come at me with this whole Manchester United and Barcelona are good teams playing attractive soccer argument; for every one of those teams there is an equally beautiful team losing. New York City attempts to play entertaining soccer, but they don't do it well. Whether that fault lies with Mix Diskerud, David Villa or someone else, on the pitch the bottom line lands just south of "it hasn't all clicked". I have a very rough guess of where things stem from but I don't think it'll be very welcomed. (This is where I share them regardless of if they are welcomed or not) I personally believe that some of this has to be laid at the feet of Diskerud. Not because of who he is or what he was supposed to be to this team, but the fact that his team holds the majority of it's possession in the midfield and he leads his club in touch% with 12.4%. Shipp is possibly the most exciting player to emerge from MLS into the US pool in the past few years. It's not just that he plays a position that has some questions surrounding it in the coming future. He's unique in his approach and shows creativity, a skill that is specifically lacking within the depth. Make all the jokes you want about Palmer and his propensity for launching shots from 30-40 yards out like he was Morten 'Great Dane' Andersen running around with one bar on a football helmet. But he doesn't cost much and his return on investment from is actually pretty good because... well, Chicago has no full back depth. If we've learned much to this point about New York City it's that the attack begins and ends with David Villa. The cost is steep but if he plays the payoff should be worth it. The question most will have to consider is the how Villa's health will continue to hold up. A good amount of people keep spending the money on Disk and I don't know why. Look, Mix is a good soccer player--he even came in 21st in our MLS Top-50 this week--but he's not a great fantasy player because what he is good at doesn't translates to most numbers that are of value in MLS fantasy. He's 39th overall in total points for MIDFIELDERS. Just not what I'd call a good buy. The Watchability score is back, get excited! We're back at it and just right off the top you'll see the score really likes NYC-CHI Friday night. This is largely due to NYC being considered the most watchable team in MLS right now. It's also to do with the fact that both teams create shots, don't turn the ball over too often, and don't often foul or get fouled. Looking ahead to Saturday, Houston and Portland looks to be a good game likely due to the amount of pretty ball handling and x`the likelihood for a close score line. Sporting and Colorado could be fun too (which is interesting considering one team takes tons of shots and another team prevents very few shots) and Sunday's Philadelphia and DC game might surprise you too because MLS! Interestingly enough, the model isn't keen on two top of the standings teams facing off in Frisco with Dallas and Red Bull prepared to exchange blows. The model surprisingly projects this match to be one of the least interesting match-ups this weekend. This could be to the overwhelming amount of fouls that Dallas is apt to provide while also being apt to allow their opponent the lions share of possession against a team from Harrison, New Jersey that wants all the possession. This model might actually be onto something. The other is followed the next day by two bottom of the table teams in Montreal and Real Salt Lake. Prediction: Surprisingly enough, I'll take Red Bulls. I'll admit that's because of BWP and my blossoming man-crush. Prediction: I call a Draw. Bring it on Canada. I'm prepared to be wrong and considered bias. I just think Vancouver is falling back to earth. Prediction: Draw. Leave TFC alone! Prediction: Draw...because somewhere there is a joke. Yes? Prediction: I'll say Columbus here but I'm 100% prepared for San Jose to do something ridiculous. Prediction: Orlando City, if only because we'll get more stories about Steven Gerrard retiring to MLS and LA being in trouble. Prediction: Philly, because you know what--they deserve something special damn it. I love you Jared, have a good weekend! Because New York City is basically the sports embodiment of Britta Perry. It's true. Sad, but still true. Call me when Jason Kries gets desperate enough to start Patrick Mullins every match. Yesterday, I introduced the who, what, where and why of this ranking, which was culled from the ballots of team front office personnel, MLS players, journalists, league analysts and other MLS experts. I'm sure there are going to be some disagreements, so hit us up on twitter or leave a comment below.